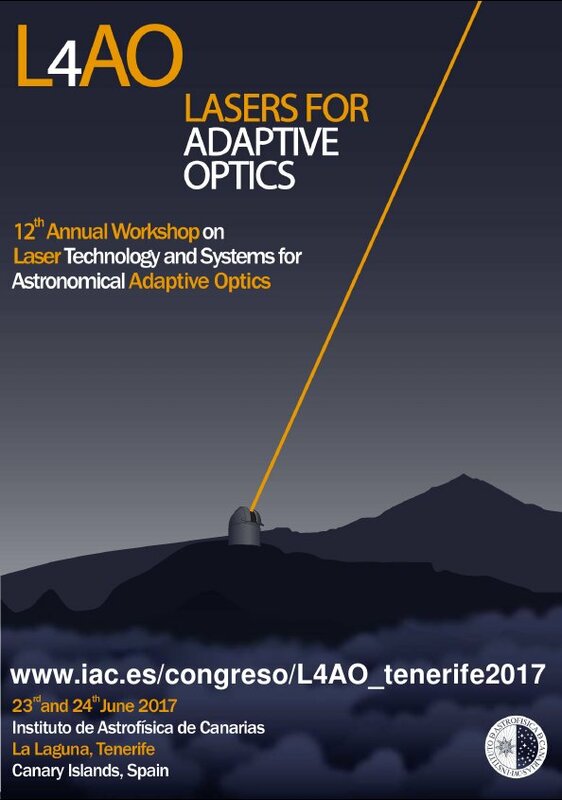 The Instituto de Astrofísica de Canarias (IAC) will be hosting the 12th Annual Workshop on Laser Technology and Systems for Astronomical Adaptive Optics (Lasers for Adaptive Optics, L4AO). 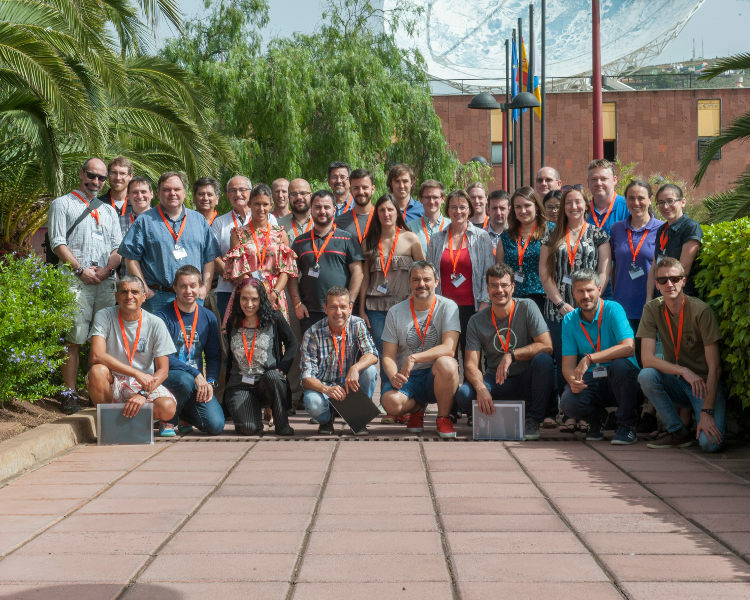 This is a two-day workshop that will be held on Friday 23rd and Saturday 24th of June, 2017, in the IAC headquarters at La Laguna, Tenerife, Canary Islands, Spain. 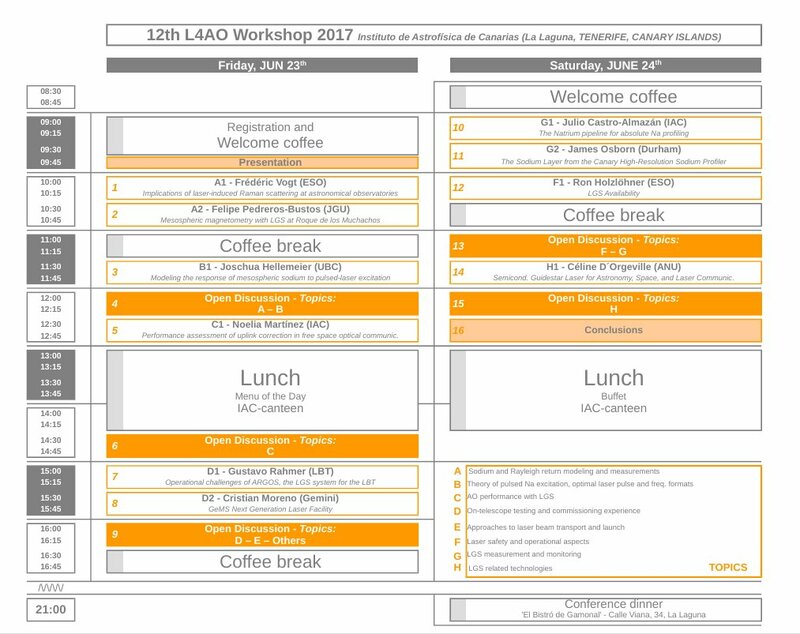 If you'd like to present something on any of these topics, or have other laser or LGS related topics you wish to suggest for discussion, please contact the organiser (l4ao_tenerife2017@iac.es) for inclusion within the agenda. Lunches will be provided on the Friday and Saturday, with a workshop dinner. To facilitate attendance to the AO4ELT5, the registration fee will include a bus seat from La Laguna to Hotel Botánico, in Puerto de la Cruz, on the Sunday morning. Bus journey from La Laguna to Puerto de la Cruz. Please, inform colleagues who may be interested in attending. Please feel free to download, print and post in your institution the conference poster.